The Fashion Bug in Florida: New Total Beauty Collection Available!! Hey Chick-a-roos!! Guess what? 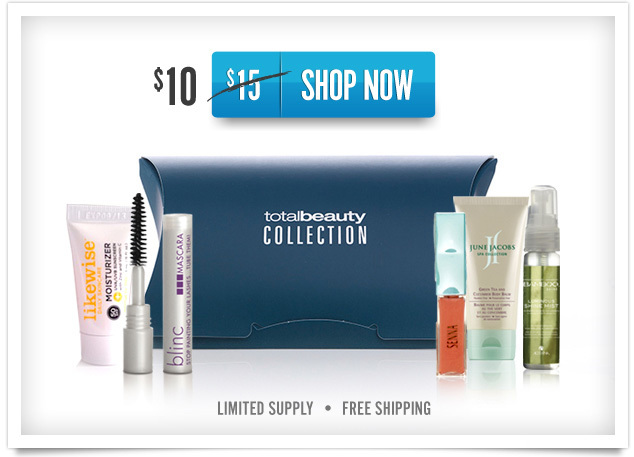 There is a New Total Beauty Collection available!! The best part....You can score 30% off right now....YES! That means you get the sample collection for only $10 and that includes shipping but you have to act now because the 30% won't last much longer! Hurry, They only have limited quantities available!! I love when a new Total Beauty Collection goes on sale and you know I already got mine! Did you get yours? If not, why? Let me know what you guys are thinking! !